35mm Film Camera Photography in the Digital Age. High quality action cameras. Take beautiful HD videos and fantastic photos with a small lightweight camcorder that fits easily in your pocket. Ideal for outdoor sports and travel photography. Now we are living in the technology age, for most people film cameras have become relics of the past. However I find myself continuing to use them, despite having access to their digital equivalents. For me the camera is about more than the technology it uses, its convenience and the technical characteristics of the photographs. 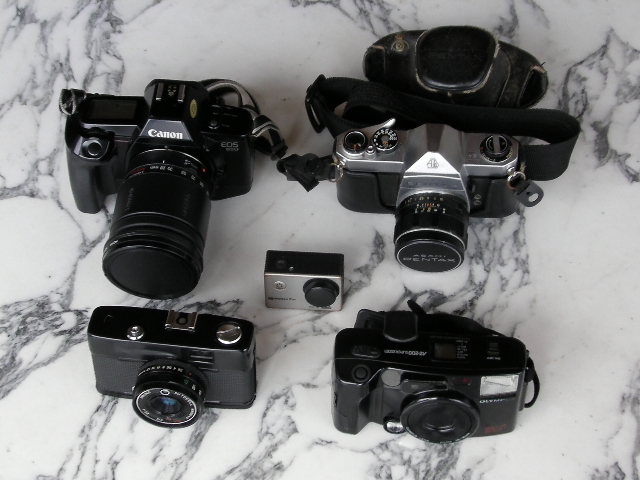 I have built up a collection of cameras handed down to me by family members. They are well travelled and have been well used. Each of these cameras represents more than its physical form to me. When I hold it and use it I am mindful of the people who have used it, where it has been, and the many important family photos and travel experiences it has captured. Furthermore the quality of the photographs from 35mm film is very good, with the timeless analogue feel that film produces. That said, film is much less convenient than modern digital files and needs careful processing. By using home developing kits and a film scanner it is possible to process the films yourself at home with little cost and equipment involved. I enjoy holding the cameras and looking through the viewfinders, especially the big bright viewfinders of the SLRs. Seeing the focus precisely through the lens is rewarding, and the precise framing and focusing allows for creative compositions. I like loading the film, rewinding it afterwards, the noise the shutter makes and the whir of the film transport mechanism, as well as the satisfying click of the shutter release button with each shot. The lenses are sharp, with a wide range of focal lengths. Furthermore there are no battery life issues, and you do not need to plug in the camera to charge it or transport files. The film camera is simple and straightforward to use, without techie settings and controls to get your head around. I am fortunate to have a collection of cameras that were handed down to me by family members, except for the Canon EOS 650 which was the first camera I bought myself. I remember going to a local photography shop in the late 1990s and seeing it there secondhand, and from that moment I knew it was the one I wanted. After a discussion with the knowledgeable store staff, I was sold and I left the shop with it that day. The Pentax manual SLR was my father's, and has been in steady use since he got it in the 1970's. He has used it for countless family photos at important events such as weddings, as well as taken it through many countries in his travels. It travelled across Africa in the 1970s with my parents, for example. The Olympus point and shoot was my brother's, and both he and I used it for our student travelling days. It has travelled across China with him, and throughout Australia and the USA with me. I also took it to Canada in my Gap Year for a snowboarding season in 1998. The Saturn is a 1970s point and shoot model that belonged to my grandparents. I do not know the history of that one or how it was used. With film cameras you can experiment with different types of film and different film speeds. As well as colour negative and slide films, you can also shoot in black and white. 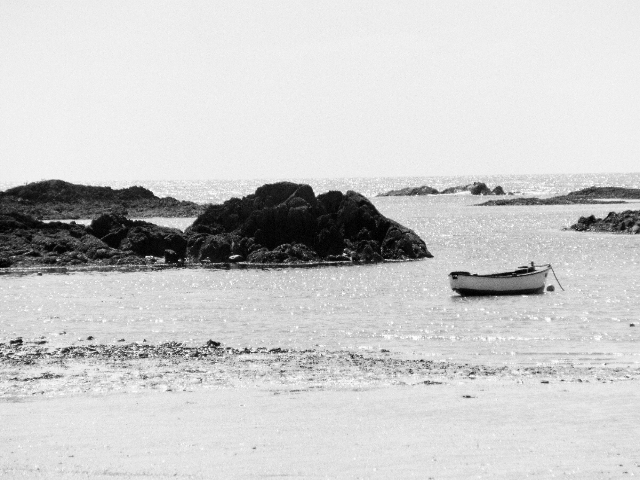 Black and white gives you a new photographic outlook, and is a fun addition to the hobby. The physical negatives can be easily stored and handed down to future generations. While digital cameras also have many desirable features, they cost more than film cameras and can be more complicated to use. The files from digital cameras are future proof as well, and can be stored without degradation, but you need a computer with a data backup scheme. The analogue format frees you from this technology, and its simplicity enhances the creative experience for me. Overall 35mm film cameras will always be a part of my life. I hope that this page will encourage some young people to get involved, who did not grow up using film. The action camcorder is a good addition, because it is so small and light to carry. Also the lens angle is wider than any of the non-digital models, which come with a standard range of focal lengths. This makes it ideal for landscape shots and general travelling, when photography is not your prime objective and you want something you can easily put in your hand luggage and carry in your pocket. It is more convenient to use than home developing, and you don't have to worry about keeping the roll stock away from heat, or airport X-Ray machines. Of course the Vision is also a camcorder, as much as it is a still photo model . You can enhance your creativity by making videos as well as taking photos. It produces high quality full HD 1080P video footage, which you can play on a modern big screen TV. It does all this with a retail price of around forty pounds, making it almost disposable. You don't have to worry about it getting stolen. This would have been unbelievable in the 1970s and 1980s when the above models were manufactured. The widest setting of my traditional lenses is 28mm (from the SLRs). When looking through the big viewfinder of the SLR, this looks nice and wide and can capture good landscape shots. The sports cam takes this further with a 120 degree lens, equivalent to around 15mm in traditional photographs. It is useful for landscape shots, and for videos from the first person perspective. These can be from action sports, helmet cam footage, or just walking around interesting places.